Last Wednesday, the internet exploded with the hashtag ‘We stand with Zoe’. Now, hashtags for YouTubers isn’t exactly groundbreaking news; however, there’s something different about this one. Many have different views on YouTubers, but no matter how you feel, it’s undeniable that they have a huge impact on our culture. YouTubers are now turning their attention to bigger things and proving that they aren’t afraid to stand up for themselves. Once one YouTuber joins a movement or argument, others will soon follow. A wrath The Sun faced after posting an article about beauty blogger Zoe Snug, otherwise known as ‘Zoella’, calling her “scandalous” for posting a Snapchat in her PJs. The image below is the one she posted, three days prior on the social media app, showing around 2 inches of leg. Despite having numerous bikini pictures online, it seems this was the photo where she ‘ditches the wholesome image’. Which begs the question: what is so wrong with this image? And the answer is: well, nothing. Nothing is shown in the images and, really, who cares if it was anyway? She supports and encourages people to be happy and confident with themselves, so isn’t she just leading by example? Fans and fellow YouTubers alike took the internet by storm, recreating the image to show just how ridiculous it is that she was called out for the snap. 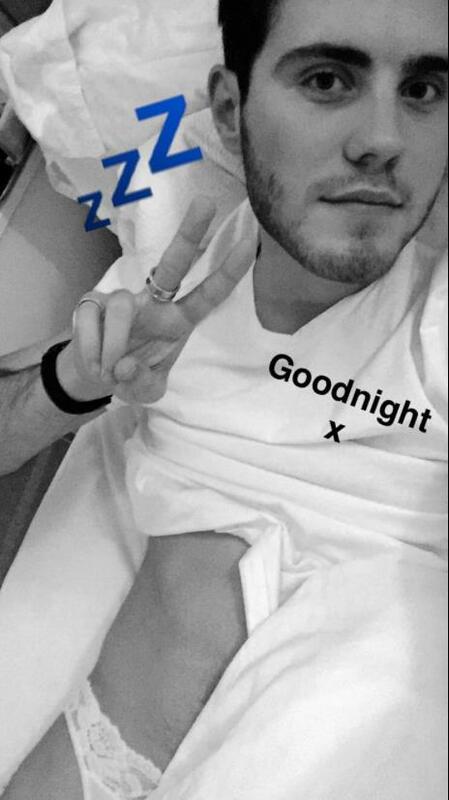 This includes boyfriend Alfie Deyes, who even borrowed her underwear for his re-enactment, below. Although the article was turned into a joke, it is an example of a much bigger issue. Women are constantly being ridiculed for showing their bodies, even the littlest bit like Zoella; in contrast, they are also ridiculed for being ‘too modest’, whereas men are praised for and encouraged to show their bodies. It’s a deep-rooted issue that starts with women not having ownership over their own body. If they choose to show it in whatever way, or not, it is their choice. Why are people so offended by women being proud of their bodies? In addition to the issues the article raises, it was released the day of the Brussels attacks. On a day the world was in mourning, The Sun opted to shame a women for wearing PJs. The reaction to this article has proven that we aren’t going to stand for this anymore. There is no room for this lazy, sexist, outdated ‘journalism’, and with YouTubers dominating today’s culture, they were a bad choice to insult. This entry was posted in People and tagged Alfie Deyes, body confidence, body shaming, The Sun, Youtubers, Zoella. Bookmark the permalink.